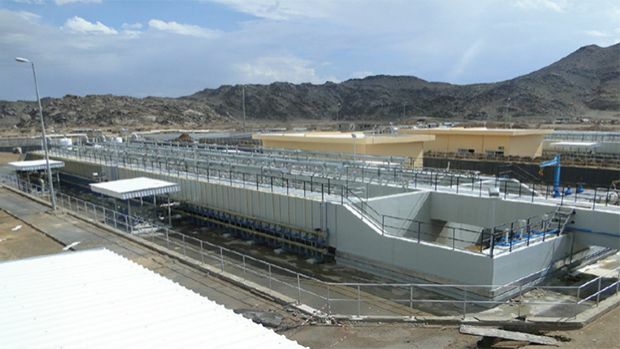 Task: To treat wastewater in order for it to be used in irrigation in Najran, southwestern Saudi Arabia. 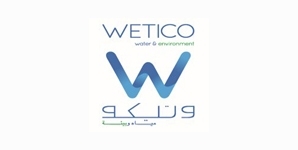 The Solution: Wetico was commissioned to construct, install and operate a sewage treatment plant in Najran, near the border of Yemen, in order for the bacteria-free water to be used for irrigation purposes. Najran is set in the mountains. Its capital city is very fertile, while on the outskirts begins the Empty Quarter desert, or the Rub Al Khali. The area is home to extensive agricultural areas and is known particularly for its production of fruits. Wetico was the main contractor on the project, and was thus responsible for civil and electromechanical works. The civil works comprised installing four valve chambers, one receiving channel, one inlet structure, two equalisation tanks, two anoxic tanks, two aeration tanks, eight membrane biological reactor tanks, two treated water tanks, four air blower buildings, a dewatering building, a control building, a workshop and store, and a guardroom. The electromechanical works included inlet structure equipment, twelve submersible mixers, an air diffusing system, 640 membrane biological reactor modules, three dewatering units, 40 pumps, a supervisory control and data acquisition system, remote monitoring units, motor control centres, a fire alarm system, a telephone system, medium and low voltage cables, and control cables. Wetico built the plant, which uses a membrane biological reactor treatment system, in a limited time of 24 months. The membrane biological reactor modules are very sensitive to high temperatures and to sunlight, which complicated the installation process. Still, the huge project was concluded on time, and soon after completion the tanks were covered with sheet and filled with water.